For my Vinyl Sticker Assignment, I was able to learn so much about using a combination of Inkscape, Silhouette Studio, and the Silhouette Portrait electronic cutter. 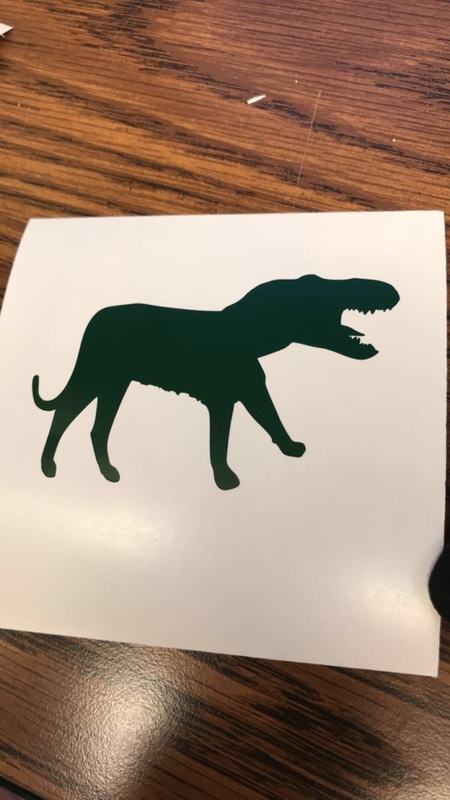 The first sticker that I created was the Griffin sticker which combined the mashup of two animals and I decided to combine a tiger and a T-Rex to create my own “Tigersaurus Rex”. In my INFO 303 class, we actually took a field trip to the Fab Lab where I created a Buffalo Chicken mashup, so I did have a little bit of previous knowledge when using this program compared to little to none background knowledge when I created my Laser Name Tag. Here is the combination of the Tiger’s body with the T-Rex’s head. Looks scary! For my final product, I decided to create a sticker that would be placed on my laptop and used to fill up the last corner which had not previously had a sticker. I am a big Chicago Cubs baseball fan, therefore, I decided to create a sticker that used their logo along with 2 black baseball bats because all throughout my baseball playing career I only used black bats. This was a superstition that I had when I played and wanted to personalize my sticker to reflect that and remember my playing days of baseball in high school. The building process of the sticker was the most challenging because I wanted the colors to align up correctly and I had to run the stickers through the Silhouette Portrait electronic cutter multiple times because it did not align up correctly. I also asked the workers there for some additional assistance and they were more than happy to help. When I got all the different pieces together, I got my laptop ready and started with the baseball bats. I placed the bats crossing each other on my laptop and worked backwards to get my finished product. I then layered the blue circle then the smaller white circle. The last challenging part was putting the letters of ‘Cubs’ on top of the white circle to align them to the best of my ability and spell the baseball team name. 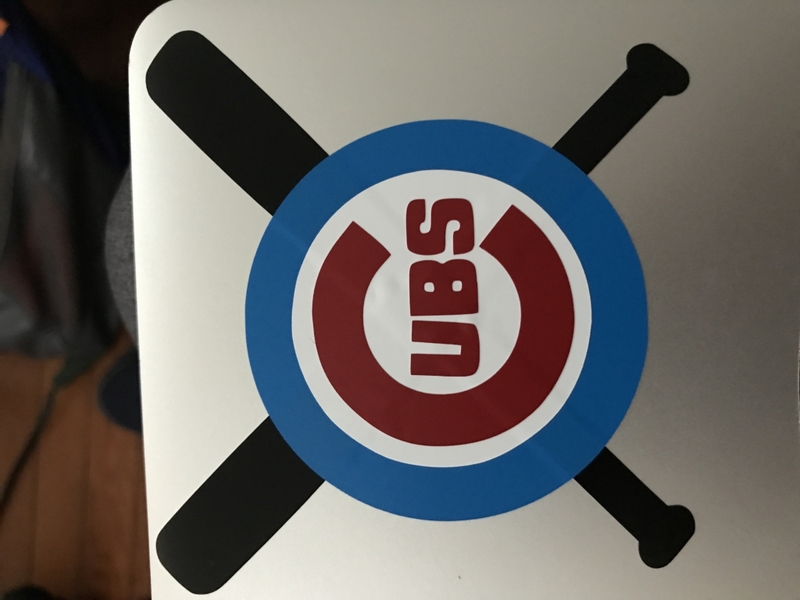 Here is my final product of my own Cubs logo that can be seen on my laptop! Overall, my final product turned out exactly how I wanted it to look. I have three other “professionally-done” stickers on my laptop, but this sticker is by far my favorite because of how unique it is and how I was able to create a sticker that will hopefully stay on my laptop forever! In the future, I hope to become more comfortable with the Silhouette Portrait electronic cutter and create bigger stickers that can possibly take up my entire laptop or even be put on the back of my phone!